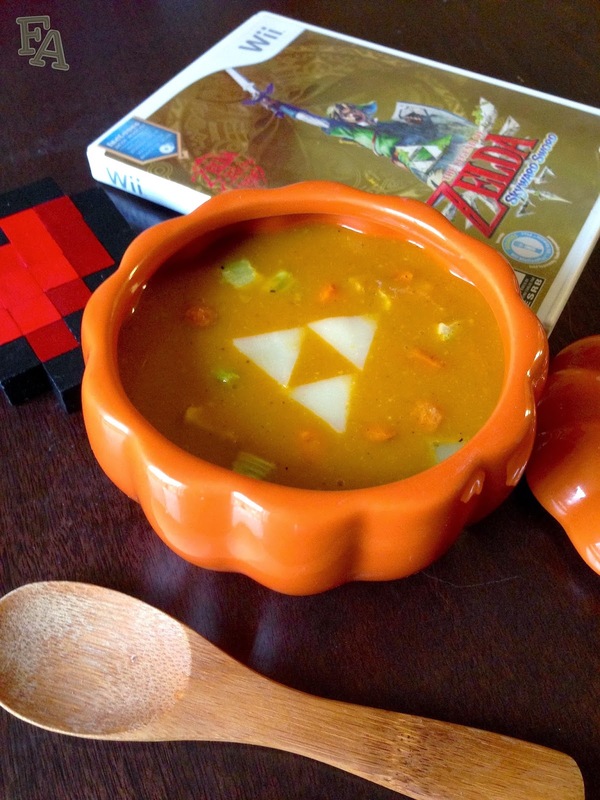 Soup is a significant food in many of the "Legend of Zelda" games, acting as a restorative item (unless it's the nasty soup from "Twilight Princess") and either a main quest or side quest in the storyline of the game. 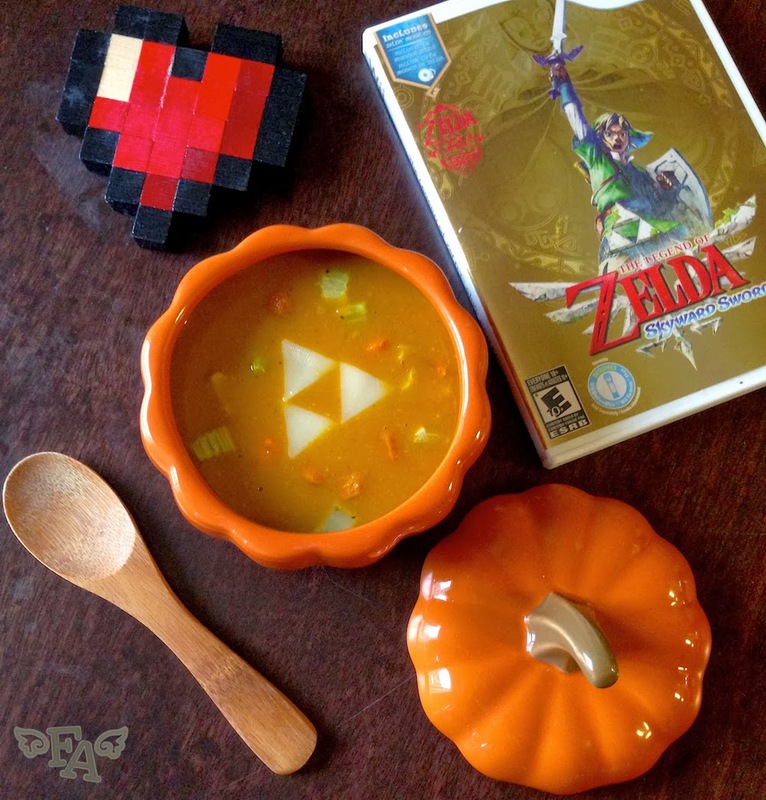 In 2011's "Skyward Sword", Link finds a restaurant called The Lumpy Pumpkin on the floating island of Pumpkin Landing whose specialty is Pumm's Pumpkin Soup (the owner's name being Pumm--his daughter's being Kina. Ha). 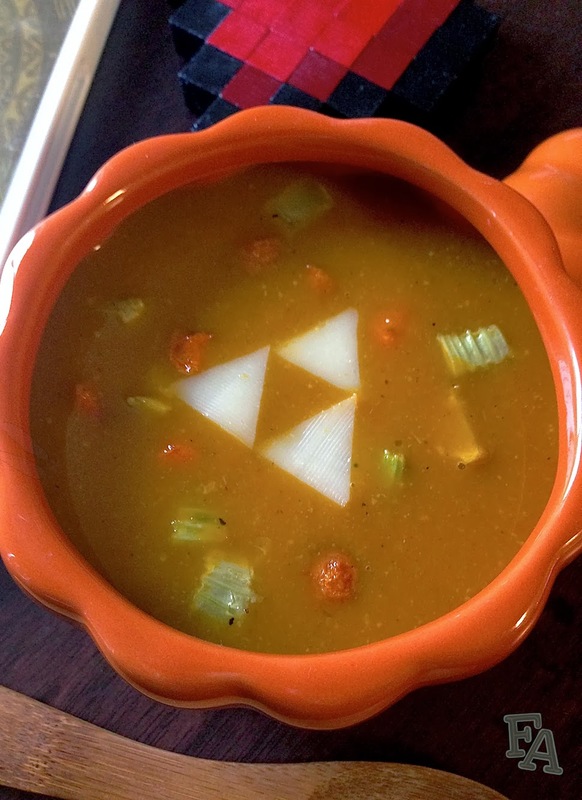 If Link breaks the chandelier in the establishment, one of the tasks he must do for reparation is deliver a bottle of this yummy soup within its 5 minute hot window. 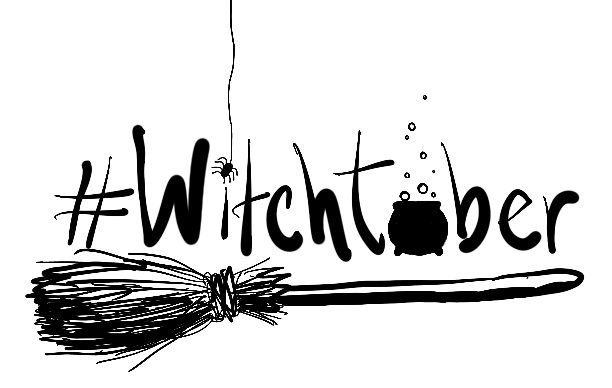 Another task involving the soup--a whole, huge, pumpkin cauldron of it--is to deliver it to a flying whale sky spirit who happens to have a gross infection (that Link must heal of course). Note: In the recipe below I've used a kabocha which, here in North America, is technically a winter squash (just FYI, pumpkins are squash). In some parts of the world kabocha is alternately called "Japanese pumpkin", "kabocha" originally being the Japanese word for pumpkin. So for this recipe, I would recommend using kabocha if you can find it (it has a dark green skin) because it has a very nice flavor, but you can also use a small orange pumpkin (not the tiny decorative ones) known as a sugar or pie pumpkins. You'll also notice in the recipe below that I've included carrot & celery chunks to be put in the soup just before serving. 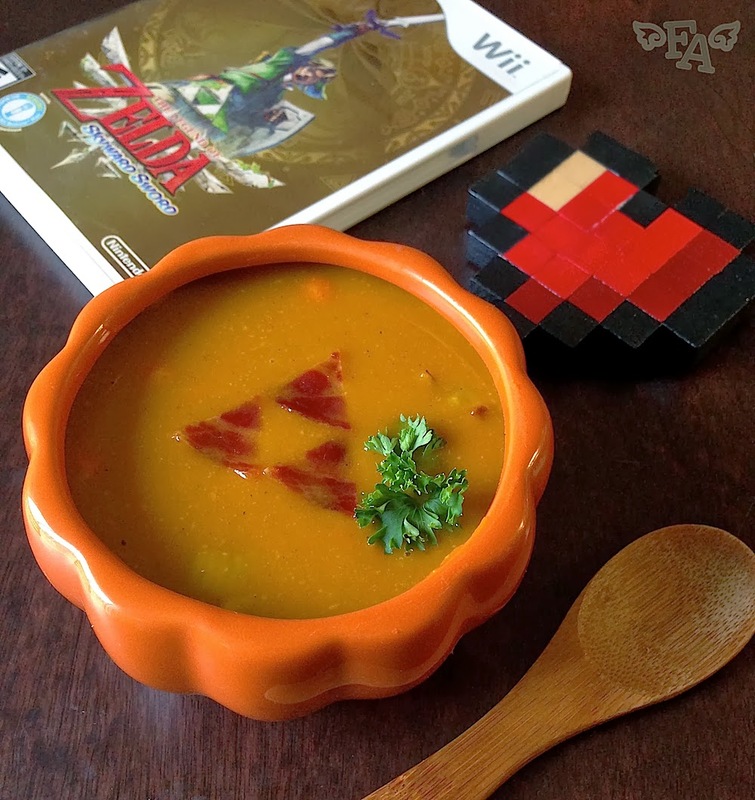 You can certainly omit these ingredients but to be accurate to the images of the soup in the game (see above right), wherein little orange & green bits are visible, including them is recommended. 1. Preheat your oven to 400°F. Cut a kabocha (or small pumpkin) into chunks & using a spoon, scoop/scrape away the stringy, seedy bits (you can save the seeds for roasting, see below). 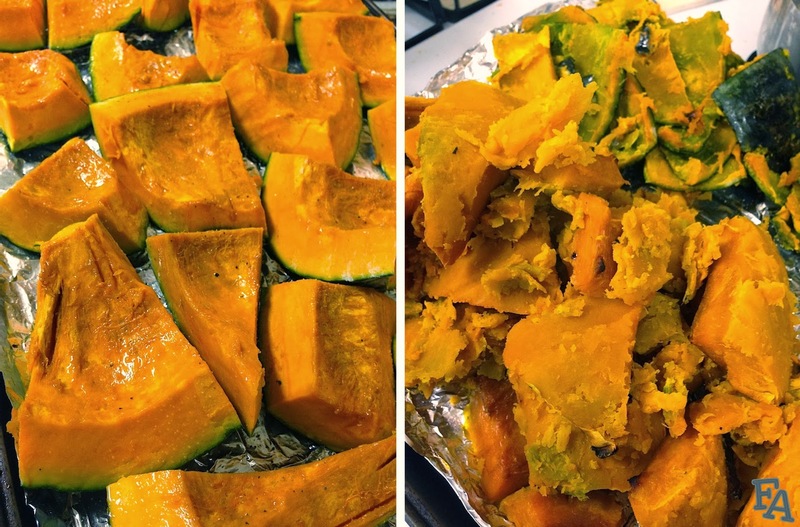 Place the kabocha pieces on a baking sheet lined with foil. Brush the pieces with oil & sprinkle lightly with salt & pepper. Bake for 30 mins until tender. Remove from oven & let cool until touchable. Cut the orange part away from the green skin (even though the skin tastes fine & is perfectly edible, it will turn your soup green if left attached). Note: If you'd like to keep the seeds for eating, rinse the stuff you scooped out in a mesh strainer & separate the seeds from the stringy bits (throw the stringy stuff away). Soak the seeds in salt water over night & then lay them out on a tray to dry. Preheat your oven to 325°F. Coat the seeds in oil & sprinkle with salt & pepper or whatever seasonings you'd like to try. Bake for about 25-30 mins or until they're nice & crispy. 2. Turn the oven to 350°F. Put the carrot & celery pieces on the same foil-lined tray that the kabocha was on (and is no longer. Or just get a fresh foil-lined tray). Rub the carrots & celery with oil & lightly sprinkle with salt & pepper. Bake for about 15-20 mins or until the pieces are tender. Remove from the oven & set aside. 3. In a large pot over medium heat melt the butter & add the bacon pieces & diced onion. Cook until the bacon is no longer pink & the onion is tender. Stir in the sage, salt, & nutmeg. Add the chicken (or veggie) broth & heat through on a simmer. Next, generously pack a 1 cup measure twice (2 cups total) with soft kabocha pieces & then add them to the broth. Let simmer for several minutes. Using an immersion blender or transferring the contents of the pot to a standing blender, blend until no chunks of anything remain & the kabocha & broth are fully incorporated. Scoop off any resulting foam from the surface of the soup. Heat the soup for a few more minutes if it has cooled at all (return it to the pot if you put it in a blender). 4. Using a fine mesh strainer strain the soup into a large pitcher, stirring the strainer contents with a spoon to get the soup through, leaving the pulp behind (dispose of the pulp). Stir the carrot & celery pieces into the strained soup. Pour the finished soup into individual serving bowls & serve hot for the full restorative effect (it does cool off quickly). 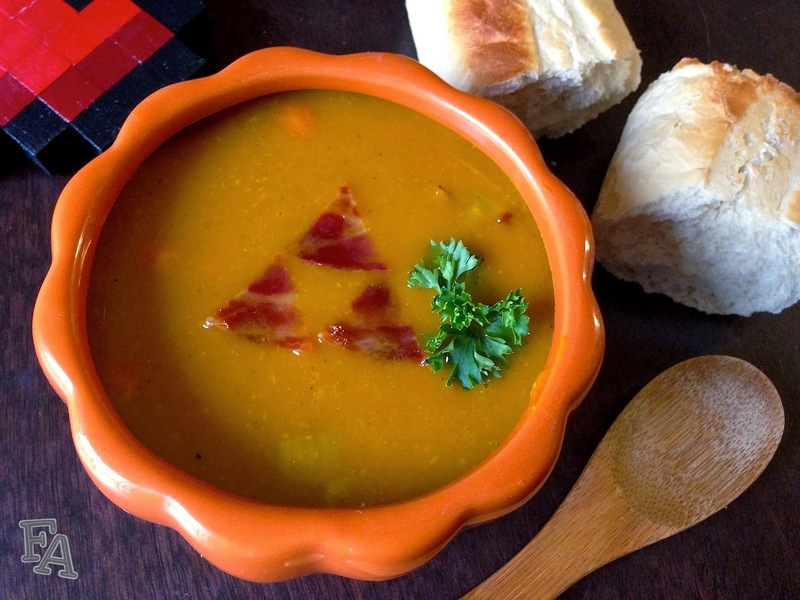 Serving Suggestions: Garnish with fresh parsley bits & small mozzarella or baked bacon triangles arranged into triforce symbols (float them on the top of the soup. A toothpick helps with placement). Serve with toasted sourdough or baguette or some other nice dip-able bakery loaf. 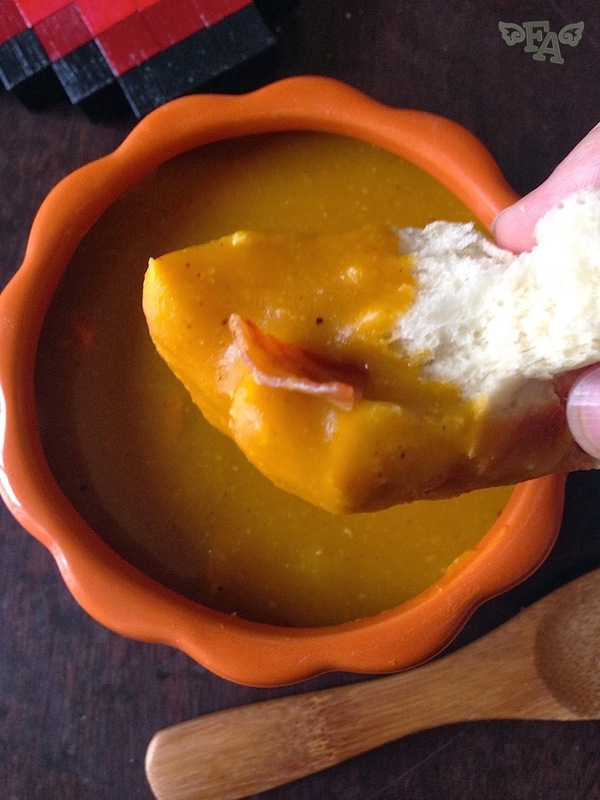 Baked, sugared bacon slices are also awesome to serve alongside this soup. Simply place bacon strips on a wire rack over a foil-lined tray, sprinkle with sugar, & bake at 350°F until the bacon is crispy, about 20 mins or so. 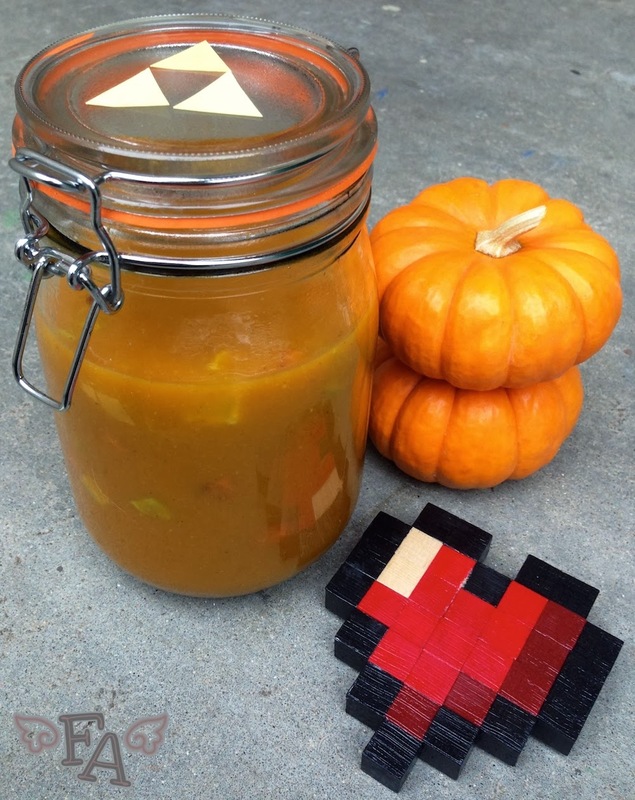 Serve as strips or crumbles, or as mentioned above, cut a few pieces into triforce triangles using a clean pair of kitchen scissors & then float them in the soup. This soup would also be incredible with crumbled feta cheese *drool*. "You got some Hot Pumpkin Soup! 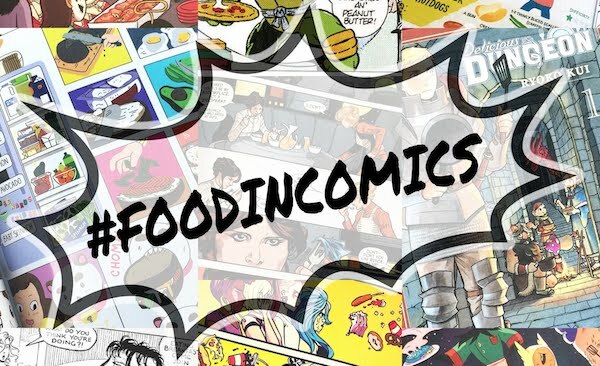 This homemade soup is Pumm's specialty, but watch it! It'll get cold in five minutes!" 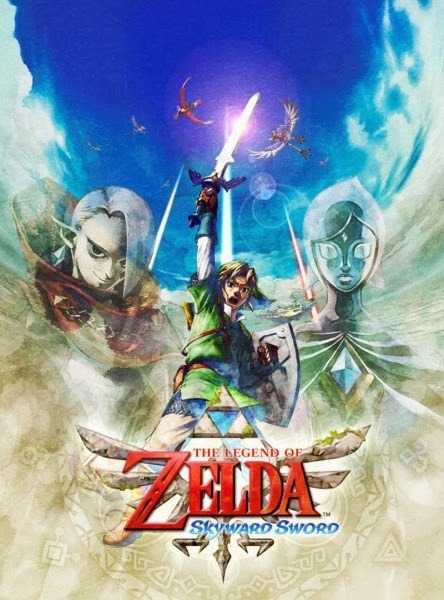 - In-game text, The Lumpy Pumpkin, "The Legend of Zelda: Skyward Sword"
Deliver some to a friend! Hurry! You've only got 5 minutes! Where did you get the pumpkin boBowie want to get the same one.